Tim Hortons says it plans this fall to sell something it's calling a double-double coffee bar, a chocolate bar-sized edible snack made from the chain's coffee. The bar will be similar in size to a chocolate bar, but contain no actual chocolate, the chain said. The bar has "a smooth and silky texture with an espresso bean finish," the chain said in a release, noting that the bar contains caffeine. 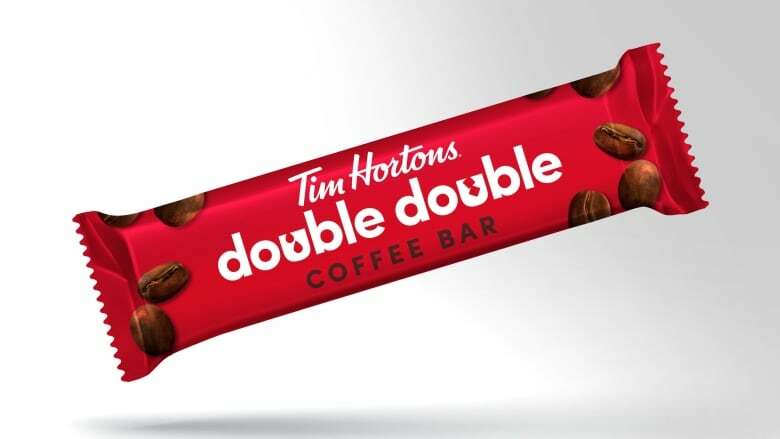 The chain is pitching it as a coffee replacement on the go, and it comes on the heels of another recent coffee-themed product launch that saw the chain add a Timbit flavour called "double-double" — the flavour mimicking the mix of two cream, and two sugars. "We wanted to create another edible treat that satisfies Canadians' Timmies coffee cravings," Tim Hortons president Alex Macedo said. "With Canadians increasingly finding themselves on the go, we developed this innovative treat so they can easily take their double-double with them," he said in a release.